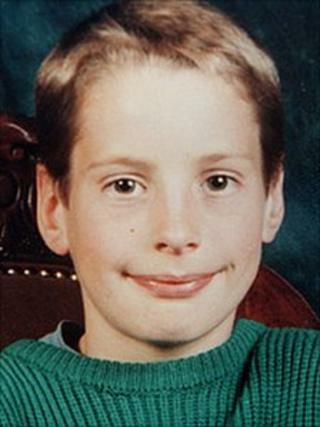 A leading Welsh Conservative says plans for an independent investigation into a 10-year-old boy's death 20 years ago do not go far enough. First Minister Carwyn Jones says it will look at the lessons the NHS could learn from the death of Robbie Powell. But Welsh assembly Tory leader Nick Bourne says a public inquiry is needed. Robbie, of Ystradgynlais, Powys, died of Addison's disease after a test that could have diagnosed the rare treatable condition was not carried out. An inquest in 2004 into his death at Morriston Hospital, Swansea, in April 1990 returned a verdict of death by natural causes aggravated by neglect. His father William Powell has campaigned for a public inquiry ever since. Mr Jones said many issues raised by the case fell outside the Welsh Assembly Government's responsibilities, and the Home Office and attorney general's department said they did not wish to pursue a public inquiry. He said instead he had decided to initiate an independent investigation and report into the case. Mr Jones said: "The issues that fall within the assembly government's remit mainly touch upon the operation of the health service in Wales. "While the structures and systems in the health service have changed significantly over the years, I am of the opinion that the facts of an individual case can illustrate weaknesses, or potential weaknesses, which did exist and which are relevant to the workings of the system and arrangements now in place. "Mr and Mrs Powell have waited a number of years for a decision in relation to their request for a public inquiry. "I would like to thank them for their patience in relation to the length of time it has taken to review all the issues in this complex case." Mr Powell has declined to comment to the BBC. But Mr Bourne said he had written to Mr Jones urging him to reconsider the decision. "The process announced by Carwyn Jones is a long way from what is needed - an open and transparent review into the circumstances surrounding Robbie's death," he said. "An independent investigation by one person simply doesn't meet the needs and requirements of this tragic case."